The suburb of Mosman is located 8 kilometres north-east of the Sydney CBD. It shares the same postcode of 2088 with its adjoining localities of The Spit, Spit Junction, Georges Heights, Clifton Gardens, Beauty Point and Balmoral. 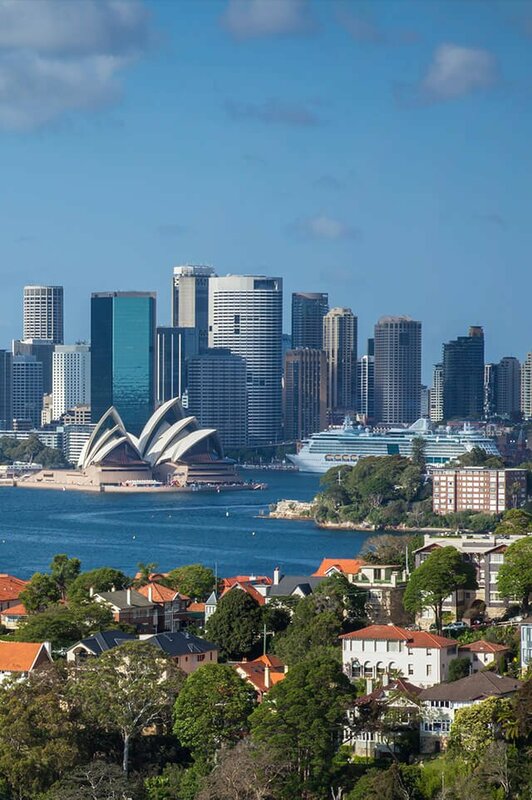 The heart of Mosman is its premium shopping district with its local cafe’s and boutique shops that stretch from Bradley’s Head Road – the nearby home of Taronga Zoo and up to Middle Head Road interlinking at the intersection of Spit Junction and Military Road. Bridgepoint offers a local supermarket and adjoins The Mosman Hotel and Boronia House, which is a popular spot for high tea. Mosman is serviced by local bus transport including the B-Line express to the city. There are local ferry services dependent upon location that operate in the area. Predominantly known for its Federation homes, intermingled with contemporary townhouses and low to medium rise unit blocks dating from back from the 1950’s to modern day. A number of properties boast spectacular views with sandstone mansions, heritage listed cottages alongside architecturally masterpieces all nestled amongst the hillside addresses with water glimpses at every turn, it’s no wonder Mosman attracts not only the wealthy, rich and famous but local executives, young families and retirees, attracted to the secluded, beachside lifestyle yet with close proximity to the city. Do you need a Buyer’s Agent who can assist you to purchase a property in Mosman?